John Fang, DAOM, L.Ac., Dipl. Ac., Dipl. C.H. Traditional Chinese Medicine; More than just an alternative. Get Well and Stay Well Naturally. Han's Acupuncture & Herbs Inc. I specialize in Japanese Meridian Acupuncture and am also a certified massage therapist and Pilates instructor. I combine all of my training and offer my patients a comprehensive approach to treating dis-ease in the body. I focus on treating Fibromyalgia, auto-immune disorders, cancer treatment side effects, digestive disorders and emotional disorders. 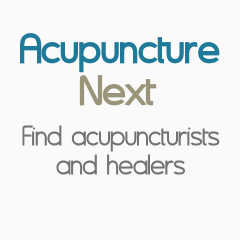 Albertson Acupuncture & Herbal Care, Inc.
Robin Roemer-Brown L.Ac., L.Ac. D.N. Specializing in all types of pain, a specialist in residual trauma even for many many years. Working with profound healing techniques and tools. State of the art wellness. Come join us today. Fill out form on our web page. * Vitamins * Supplements * Minerals * Herbal Formula Refills Get the Design and Potency you deserve! Craig Swanson, BA, MSOM, L.Ac., Dilp.Ac. Q.M.E.